As a rule, most Australian cinema passes the UK by. 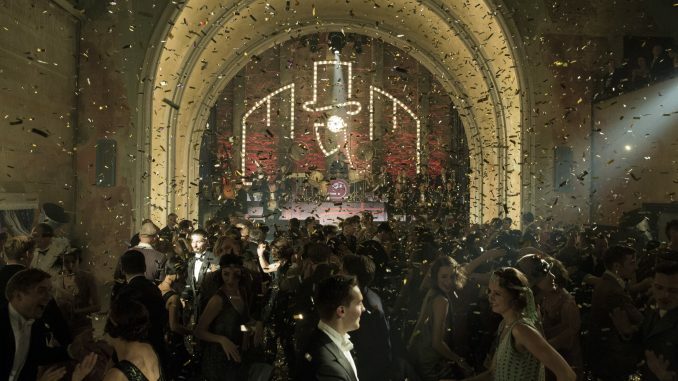 Occasionally we get a breakout hit, such as Mad Max, Picnic at Hanging Rock, Priscilla: Queen of the Desert or Strictly Ballroom, but largely, we miss out on the industry’s richness. A slight exception to the rule is horror and thrillers, usually ones set in the Outback, with the likes of Wolf Creek often doing better than you might expect, which is perhaps why the Australian TV industry is waking up to their possibilities for adaptation as series. Mystery Road is a sequel to not just one but two movies that might have largely passed the UK public by, were it not for the likes of Amazon: the original Mystery Road and its sequel Goldstone, both of which starred Aaron Pedersen (Wildside, Water Rats, The Circuit, City Homicide, Jack Irish, A Place to Call Home) as an impressively craggy, lone detective, working in Western Australia near Perth. Essentially, a Wild West sheriff, it’s up to him to stand up for truth, justice and the Australian way when no one else will – usually because there is no one else. 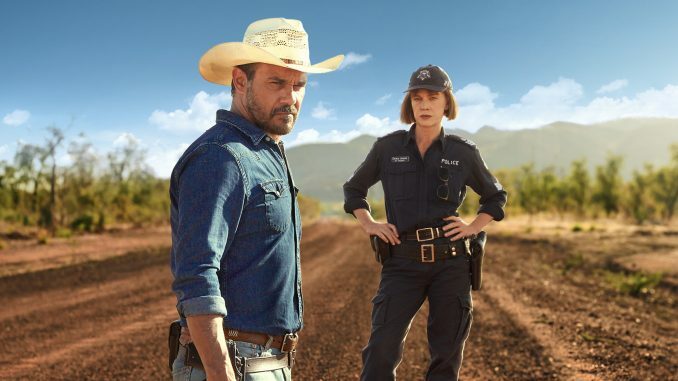 ABC’s new six-part Sunday night thriller Mystery Road is more or less a direct continuation of those films that expands them out, even if Pederson is virtually the only actor to make it over from the original movies as the action has moved onto another location. 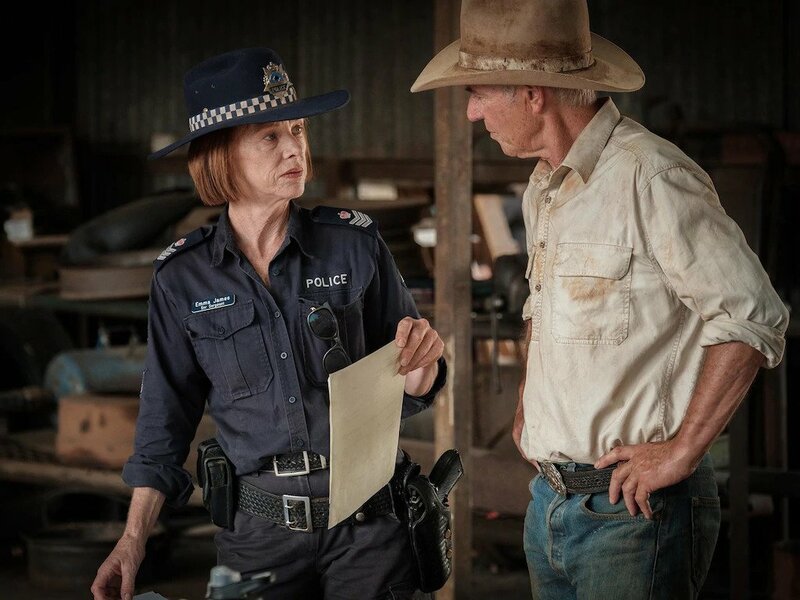 It sees the rather highly nominated Judy Davis playing a small town police officer who calls in Pederson to help her when a local boy goes missing. 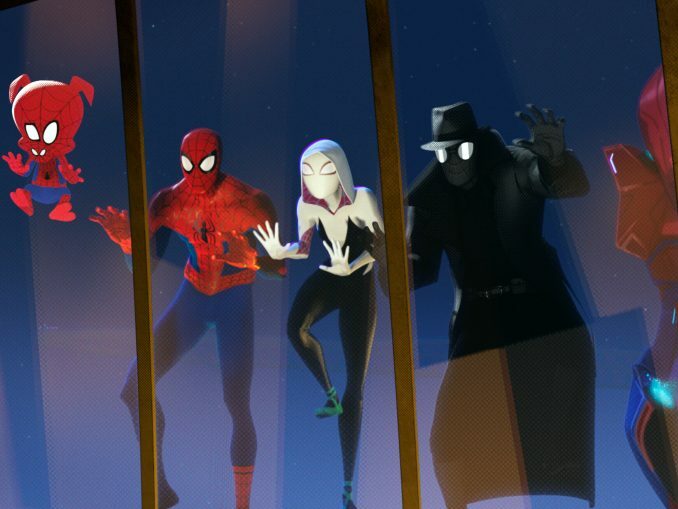 However, it’s not long before they discover another boy is missing and that it might all tie into an old crime involving the boy’s uncle, who’s just getting released from prison – which is something no one wants. The first episode is really hugely impressive. Pederson is monosyllabic mountainous presence and he has a script that exploits that to the max, as well as a director (Rachel Perkins) who’s able to do both him and the sparse Western Australian landscape justice, usually with some stunning drone photography. 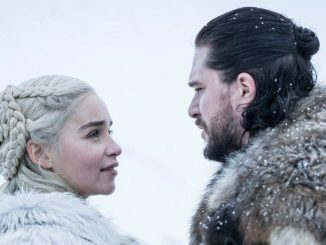 But it also calls back to the original movie by being a highly subtle cultural piece that muses on the nature of insiders and outsiders in various Australian socio-economic groups. The missing boy is of aboriginal descent, as is Pederson, which means Pederson can talk to Aboriginal people who won’t talk to Davis. But at the same time, he’s a man, so women won’t share what they might with Davis; he’s from outside town, he’s not ‘black black’ and he’s a cop, so certain people regard him as an outsider and/or a traitor; and he’s poor, whereas Davis is rich and is related to powerful people in this small town – including seemingly the only defence lawyer available, who’s her ex-husband. 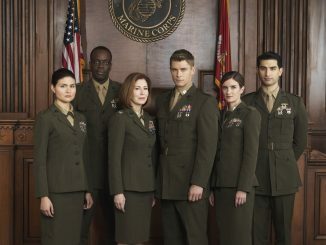 The first episodes are then a shifting series of circles as Davis and Pederson have to work together to get what they can out of different groups and then allow the other to use what they know with other groups. Sometimes this is explicit, but sometimes it’s only implicit and you have to watch from the acting who fits into what circles and how they regard both Davis and Pederson. It’s also a fine detective story, as both Davis and Pederson make smart deduction after smart deduction, without the copious red herrings some shows would throw up. 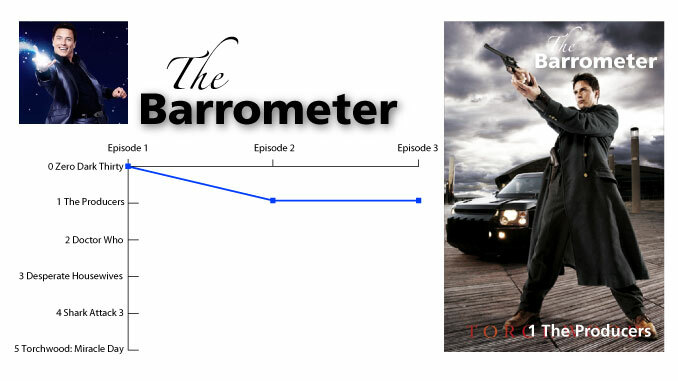 Unfortunately, the second episodes aren’t quite so impressive as the focus shifts more toward deconstructing Pederson’s lone-wolf character and actions from the movies, which get numerous mentions as ‘the incident with the bikers’ as well as thematic nods such as the casual racism by an otherwise sympathetic, if incompetent white cop in the town police station. His daughter and ex-wife also show up again for no especially good reason other than to suggest maybe being a loner isn’t the best idea for a cop who needs to make people like him; meanwhile, Davis similarly deconstructs Pederson and takes him to task for his pro-Aboriginal concerns (“There are two missing boys or do you only care about one of them?”). And it doesn’t work. It’s a bit like asking for Mad Max to open up about his deep-seated petrol-related issues. The story also becomes a bit more mundane as we forego socio-economic analysis in favour of traipsing around from site to site, asking questions, then moving on to the next one. But while they’re not as good as the first, the second and third are still pretty compelling pieces of work, held together by Pederson’s glowering rock and Davis’s more flippant, more morally compromised character. 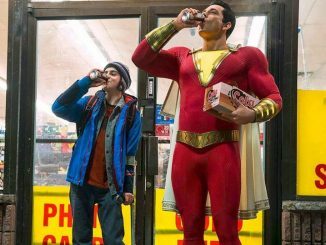 You wish the writers would let Pederson rip everyone up again, as in the first episode, but he still manages to ensure the show remains constantly watchable and the script’s exploration of how everyone and everything is interconnected in a small town, even when they’re seemingly cut off from one another, continues to hold strong. 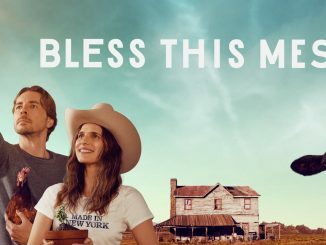 Indeed, the show’s notes on life in a small Australian town and the necessity of firearms are fascinating viewing in and of themselves. 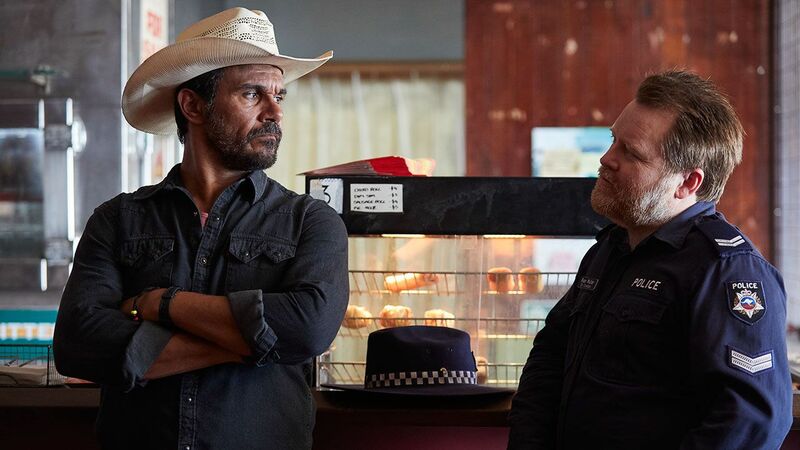 I have to say I enjoyed the first two episodes of Mystery Road so much that I went back and watched the movie, and I really looked forward to the third episode, too. I’ll hold off recommending it until its final episode, but at the moment, it seems a shoo in as one of Australia’s entries for TMINE’s Top Shows of 2018. Here’s to a UK pick-up – and on a decent channel, rather than Alibi.